Waffle House has a fun and busy atmosphere. Their main conviction is that every customer leaves happy. In order to make this happen, this company has a creed to take care of the customers, associates and each other. If you choose to be an hourly employee, you can go to your nearest store and ask for a printable application for Waffle House. Or, if you prefer to be in a management position, there is a link at the end where you can fill out a Waffle House application online. When Joe Rogers Sr and Tom Forkner opened the first Waffle House on Labor Day in 1955 in Avondale Estates, GA. they believed that each person is responsible for individual behavior and that each person should work hard, play fair and behave professionally. They wanted to combine this belief with the concept to combine table service with the speed of fast food and 24 hour availability. Now, the company has 1500 company and franchise owned businesses in 25 states with their Headquarters being located in Norcross, GA. The company also prides itself on being a disaster indicator for FEMA. Ten years ago the Florida’s emergency management chief noticed that the status of a 24-hour Waffle House restaurant indicated if the roads were open, or whether the area had electricity or gas. He came up with a color-coded rating: green for fully open, yellow for limited menu, and red for closed. 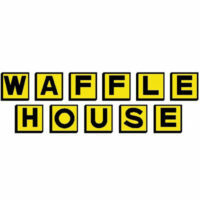 If your beliefs and values mirror that of this company, then go in and fill out a Waffle House application or apply for Waffle House jobs online with the provided link. There are many positions available at Waffle House. Some of these careers are server, grill operator, and manager trainee. Hourly wages are competitive with the industry standard and some benefits are available on the first day. Other Waffle House careers include Unit Manager, District Manager, and District Manager. The management positions tend to hire those who have worked their way up from within the company. These positions offer a competitive salary along with performance based bonuses. How old to you have to be to work at Waffle House? To gain an entry level position, such as being a server or grill operator, you must be at least 16 years of age. To obtain a management position within the company, the minimum age requirement is 21 years of age. This is a great opportunity for someone without work experience to get into the restaurant industry as full training is provided. Another benefit is the discounted or free meals that team members get. Other benefits for hourly employees include a flexible schedule, yearly raises, health insurance, comprehensive medical plan, dental and more. Employees can enroll for some benefits on their first day where others benefits may not be available depending on eligibility. The benefits listed are for those from Waffle House Inc. and may vary for franchise locations. Server – The responsibilities of the Server include learning the ordering lingo, such as smothered, covered, diced, chopped, etc. This role will also quickly and accurately take the customer’s order, serve the order with exceptional service, and help maintain the cleanliness of the restaurant. Grill Operator–The Grill Operator is responsible for maintaining food safety standards, maintaining cleanliness of the grill area, accurately repeating and preparing the orders that the server has called out, and maintaining the cleanliness of the restaurant. Manager Trainee-This role is responsible for assisting in the training of team members, problem solving, ensuring the company standards are maintained and that there is a clean and safe work environment. The Manager Trainee works directly with the Unit Manager to hone leadership skill and will also report directly to the Unit Manager. Unit Manager – The Unit Manager responsibilities including recruiting and training new team members, provide excellent customer service with high food standards. Other responsibilities include increasing profitability by exercising food and labor cost control and implanting all company guidelines. The following questions are typical interview questions found in the food industry and are listed to help you prepare. Why do you want to work at Waffle House? There are many different restaurants that you can choose from. The interviewer wants to know why you think that Waffle House is the best choice. Answers such as the atmosphere, the quality of the food, or because you feel this is a good job advancement opportunity would be ideal answers. How do you feel about working holidays? This company is open 24 hours a day, 365 days a year including holidays. The person who is asking this question wants to make sure that you will not have a problem with working holidays as there is an excellent chance that you will. What motivates you? In other words, the interviewer wants to know what your driving force is. He or she is probing to discover if you have a need to succeed and why. Unless applying for a management position, you will need to go in to get a direct application from your nearest restaurant. When asking for an application, make sure you have come prepared by bringing a pen, your resume, and a list of personal references that include the names, addresses and phone numbers. Fill out the application there so you don’t have to come back and turn it in as this may allow for you to have an interview on-the-spot. If you are applying online for a management career, give the store about five days to look over your application and then call them to follow up on it. The night before the interview, do some research into the company and write down any questions that you may have regarding job advancement opportunities. Keep away from questions such as paid time off, or wages as this may give the wrong impression. Layout and iron the clothes that you plan on wearing keeping to casual or business casual clothes. On the day of the interview, look neat and tidy by being well groomed and trimmed. Keep makeup and jewelry to a minimum. Make eye contact and whenever possible, answer the interview questions with examples from your previous school or work experience. At the end of the interview, smile and shake hands with the person that you had spoken to. Be gracious and show gratitude for the opportunity to speak with the person. Also, ask when the interviewer when they will follow up with you on the position. This may sound a little presumptuous, but it shows the interviewer that you have a true interest and that you are confident in your ability to obtain the job.